A cool morning welcomed August 24, 2013. 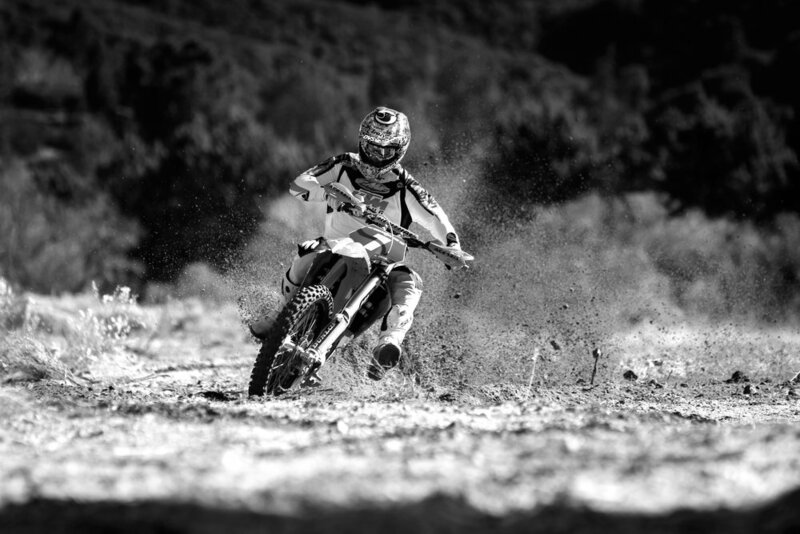 It had rained all week in Panaca, Nevada, and the 100-mile course for Round 9 of the 2013 AMA National Hare and Hound Series would be prime for the guy who could muster the speed to be out front all day. This round was a deciding race for the champion, and all he had to do was finish in front of the guy who was second in points. Hundreds of racers rolled up to the line of the bomb run, ready to transfer their nerves into speed. Dark clouds of thunder rolled in just minutes before the banner was to drop, and soon raindrops small enough to be a nuisance on the riders’ goggles fell from the sky. The banner rose and the raindrops grew, falling heavier and faster. Claps of thunder roared from above and lightning reached across the horizon. The intensity was at an all-time high, as if nature knew a champion was about to be crowned. The banner dropped and the rider on the #1 Factory KTM 450SX-F quickly lit his electric start machine, winning the duel against his peers. Instantly the heavy rain turned into hail, pounding against the helmet, hands and back of the #1 racer. In his own iconic way, he held the throttle wide open and stared with tunnel vision through the raindrops to the banners that marked the course. With nothing to fear in his heart, he left his friends and fans behind as the adrenaline pumped through his veins. He pushed faster and faster through the mountains and valleys, over rocks and brush. There was nothing that could hold him back. His innate ability and poetic speed separated him from the riders he left behind. Every turn was calculated, every sprint was timed and every motion was precise. His mind raced faster than his bike could carry him, because to be a thought ahead of his actions was key. In this moment, his mind was free and his clarity of purpose allowed him to be the best possible version of himself. He trusted his team to refuel him, and they did it perfectly without hesitation. He was the one no one could catch, the lesson to be learned by those he left behind. "There was nothing ahead that could hold him back; that's what separated him from the ones he left behind." "The rain cleansed the desert of it's imperfections, and he would pave the way for the ones he left behind." This course was like no other he’d seen all year. The rain had dampened the dirt beneath him and there was no tread that lay before him. His lines were smooth as he positioned his body with grace; a racer couldn’t be more perfect. The rain had cleansed the desert of its imperfections, and he would be the one to pave the way for the riders he left behind. Kurt Caselli became the champion that day. Nature greeted him at the finish line in the same way she had at the start, with a sudden burst of heavy rain that came now in a cheering fashion. He accomplished what many had come for, but failed to achieve. His smile beamed from east to west while his team, friends and fans walked up to him, proud of their champion. Caselli sat respectfully at the finish line, waiting for the riders he left behind. He took more wins in three years than any of his peers who finished alongside him in his Hare and Hound career. Kurt Caselli’s racing life began in the desert just as it had ended: victoriously. Born into Prospectors M/C of District 37, Caselli began riding alongside his father, Rich Caselli, to ribbon enduro races in the Southern California desert. By age 14 Caselli had become the mini-enduro champion with a firm hold on the 1L plate (now known as K1). In 1998, at age 15, he had earned the K1 plate in desert. In 2000, Caselli put all his cards in and took the C1 plate in enduro, desert and GP. The year 2002 brought even more excitement to Caselli’s progress when he took the overall win at the Vikings MC National on a 125. The following year, the H1 Heavyweight award went to Caselli in GP. Through his growth as a racer, Caselli also dominated worldwide and garnered a list of accomplishments in ISDE beginning in 2003, including his revolutionary efforts to bring Team USA to the event. That was truly just the start of Caselli’s career, as he moved beyond local competition to nationwide and worldwide events. After reaching the professional level, Caselli took his first WORCS championship in 2007 against the likes of Nathan Woods, Robby Bell and Ryan Hughes. In 2009 Caselli switched gears and committed to racing the GNCC series, but came home after realizing that the Western desert was where he truly belonged. He returned to WORCS in 2010 and worked hard for the championship over Ricky Dietrich and Mike Brown. The next year was Caselli’s final one in WORCS, and he concluded his year again with the championship. However, WORCS wasn’t Caselli’s only success in 2011. The Factory KTM rider decided to go back to his roots of true desert racing and committed to the AMA National Hare and Hound Series. Caselli officially dethroned JCR Honda/Red Bull rider Kendall Norman after taking almost every win of the season. A repeat performance in 2012 secured his second consecutive National Hare and Hound Championship ahead of Dave Pearson and Destry Abbott. Caselli decided to give the Hare and Hound Series one last run in 2013, and of course he completed his season just as he had in years past: in the number-one spot. Before his final victory in Panaca, Caselli and KTM Europe made the decision that he would be moving on to new endeavors—this time in rally racing, after finding himself able to challenge the front-runners at the 2013 Dakar. Caselli even won the Ruta 40 in June of that year. But to complete his 2013 season back home, he had to take on the SCORE Baja 1000 finale with teammates Ivan Ramirez, Mike Brown and Kendall Norman for KTM North America. Ultimately, this would be Caselli’s final run, both in racing and in life. He left this world after colliding with a large animal, a horse or a cow, that caused fatal injuries. Caselli is survived by his mother, Nancy; sister, Carolyn; fiancée, Sarah; other family members; and countless friends and fans. 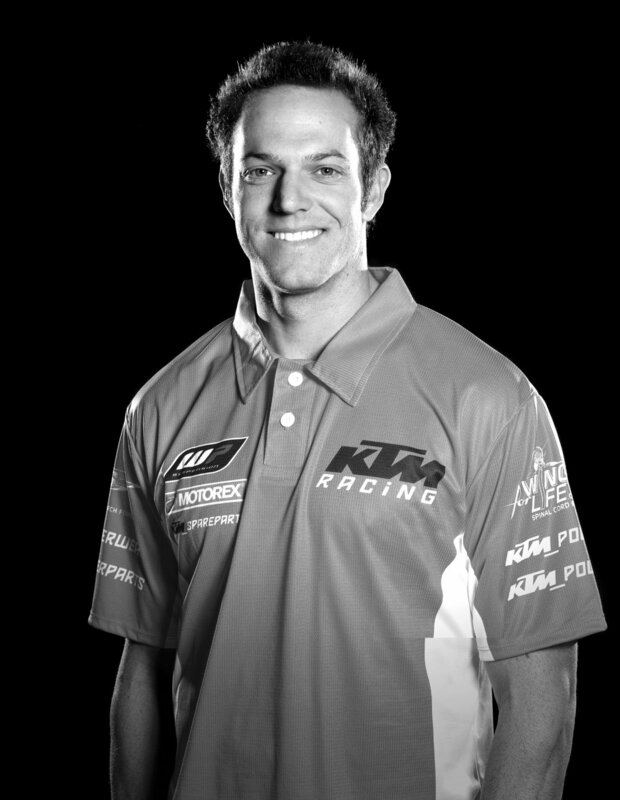 Simply put, Kurt Caselli left this world doing what he loved: racing off-road. And those in the racing world are grateful such a man didn’t go out any other way. From the desert to Dakar, from his family to his fiancée to his friends, and everyone and everything in between, Caselli gifted this world with a legacy for the ones he left behind.